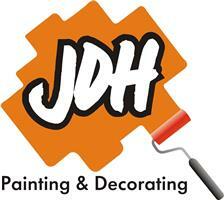 JDH Painting and Decorating - Home Improvements, Painter/Decorator based in Havenstreet, Isle of Wight. Hello my name is James, I am the owner of JDH Painting and Decorating. I am based on the Isle of Wight, but I cover the mainland too. I am professional, reliable and experienced in all aspects of decorating. I also offer plastering, skimming, tiling and general maintenance, including gutter cleaning, repairs and new gutters fitted too. I can turn your house into a home, your work place into a pleasure and give your office a warm, bright, relaxing feel that you look forward to going too. I like to keep the area I'm working in clean and tidy and i like to produce a high standard of work. I cover all of the Isle of Wight, mainland work can be arranged.